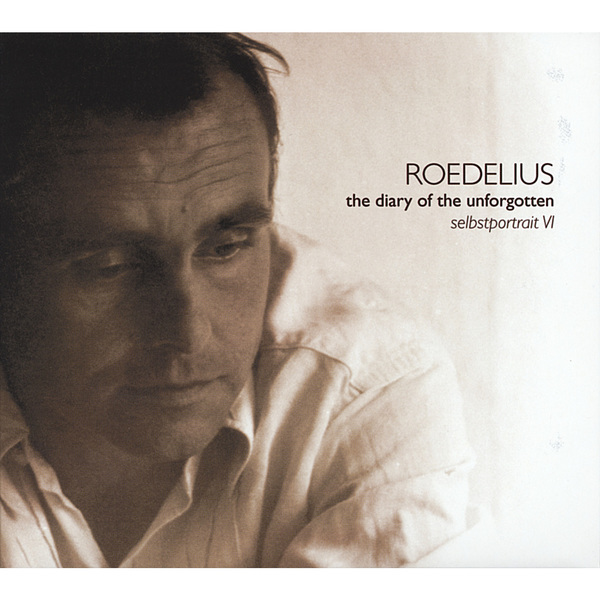 'The Diary Of The Unforgotten' is the sixth in Roedelius' series of intimate solo albums known as the 'Selbstportrait's. All of the tracks were recorded between his prime early years of 1973 through 1978 in Forst, Germany and Blumau, Austria, predating 'After The Heat' and coinciding roughly with the classic Cluster releases 'Zuckerzeit' and 'Cluster & Eno'. These ten tracks are pure Austro-Germanic opulence, swaying from pastoral synth bliss like 'Remember Those Days' to exquisite solo piano recordings like 'Du' and including the imposing centrepiece 'Hommage á Forst'. At twenty four minutes this is one of his longest expeditions, mapping out a head-melting topography of kosmiche and krautrock signatures like wandering plumes of modular synthesizer with Göttsching-esque guitar spirals and submerged, slow motorik pulses. To be honest, this track is worth the admission alone, but with the jaw-dropping 'Manono' this becomes a real essential for fans of the Cluster/Harmonia/Eno end of the scale. Magic.